Happy Birthday to my amazing, beautiful, creative daughter Meg! You are my muse, and you’ve made my life a wonderful journey. I love you. 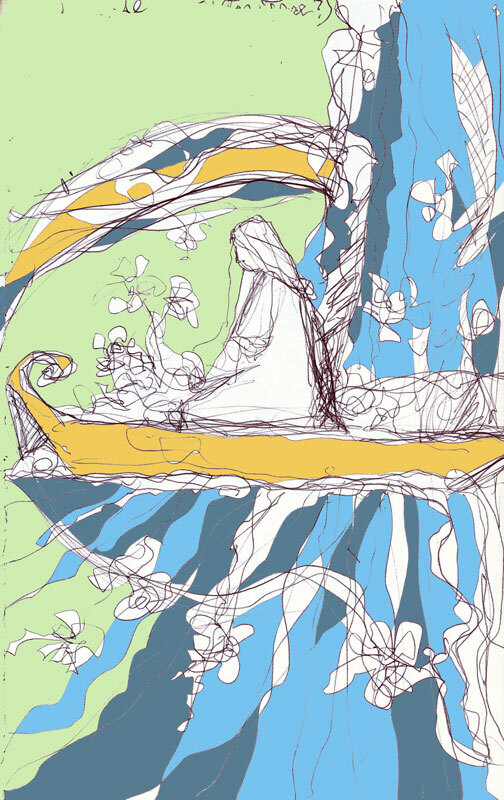 This entry was posted in Uncategorized and tagged abstract drawing, boat, digital color, ink drawing, Linda Kay Thomas, Linda Snider-Ward, Louisiana artist, N.A.W.A. signature artist, small drawing, waterfall, woman. Bookmark the permalink.